At the beginning of August, Encore Welding and Industrial Supply completed a major expansion in the City of Signal Hill, CA with the grand opening of the company&apos;s state-of-the-art Specialty and Industrial Gas Facility. Now, just two months later, Encore continues to invest to meet growing demand with the addition of a new 37-foot Peterbilt to the company&apos;s expanding fleet of delivery vehicles. 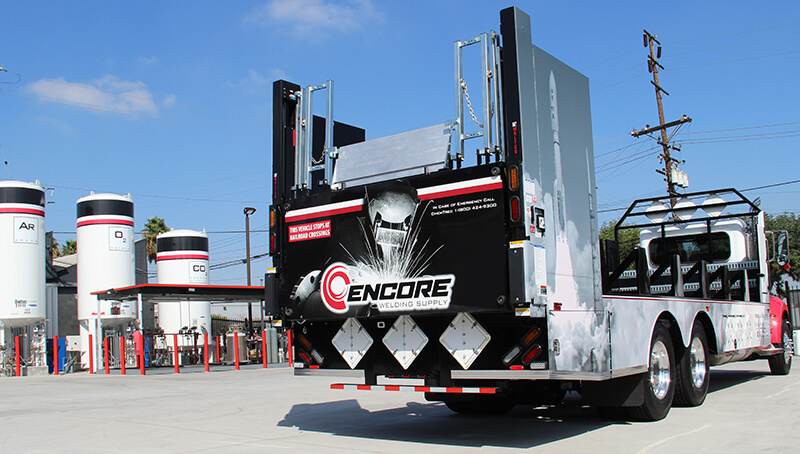 The new 10-wheeler is Encore&apos;s largest vehicle to date and can deliver up to 200 specialty and / or industrial compressed gas cylinders and cryogenic liquid dewars to customers throughout Southern California. According to Distribution Manager James Young, this provides greater flexibility in the dispatch of delivery vehicles, translating into faster service for existing customers and a greater ability to efficiently serve the company&apos;s growing base of gas customers. "As we take on new customers, we expand our infrastructure to support the new business," he said. 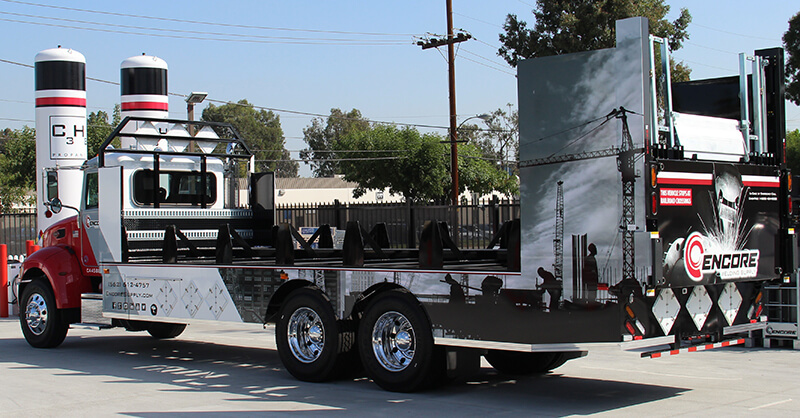 Branded in the distinctive Encore style, the new vehicle continues the company&apos;s practice of depicting the industries it serves on each side of the truck. While previous vehicles focused primarily on oil and gas, refining, piping and welding, the new vehicle displays a high-rise office building under construction on one side and a rocket launch, symbolizing the aerospace industry, on the other. Encore distributes gases including: argon, nitrogen, oxygen, carbon dioxide, propane, helium, acetylene, Chemtane fuel gas and others, including gas blends and certified specialty gas mixes. The company also offers a full line of welding, industrial and safety products, including hardgoods, consumables and personal protective equipment from many of the industry&apos;s most respected brands.